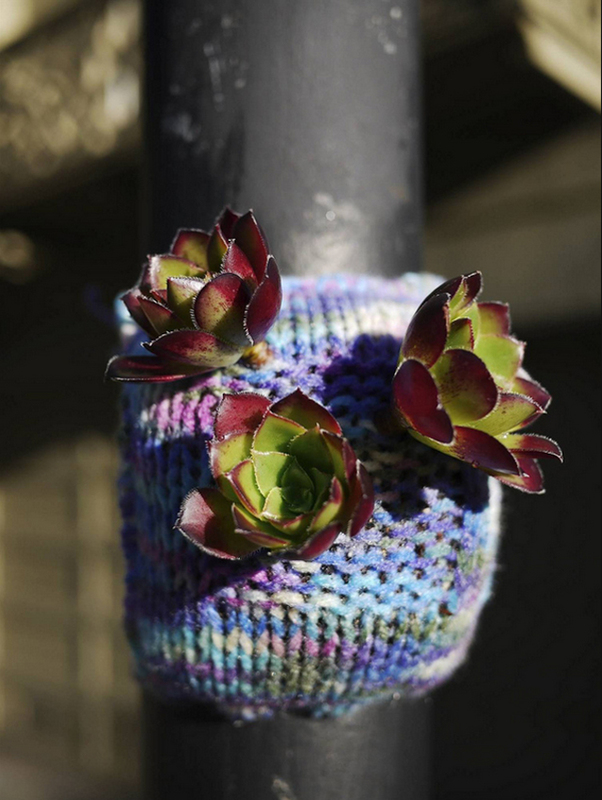 In what may be the sweetest collaboration for a couple ever, urban knitter Heather Powazek Champ came up with a project that combines her love of knitting with her husband’s love of plants. Heather knits adorable little plant pockets and her husband, Derek Powazek, fills them with soil and live plants. 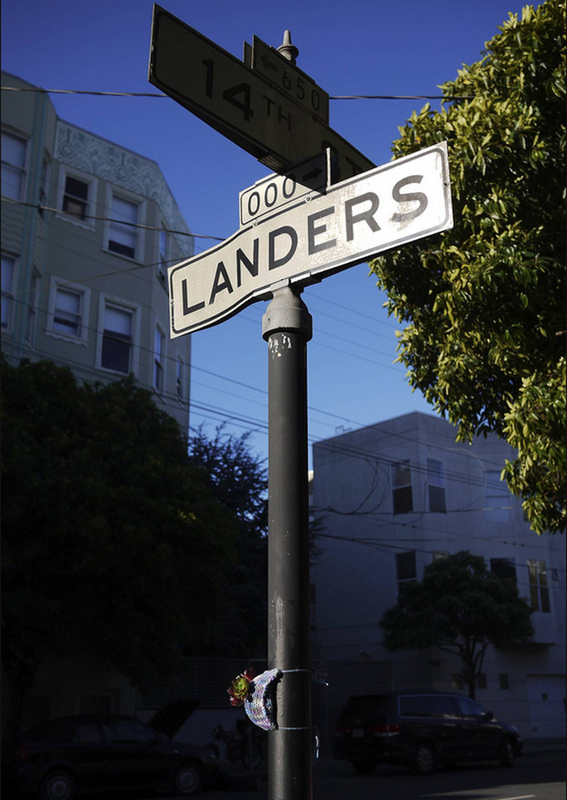 They then distribute them around their homebase of San Francisco in a project they call Plantbombing, which is basically a grown up version of yarn bombing and seed bombing. 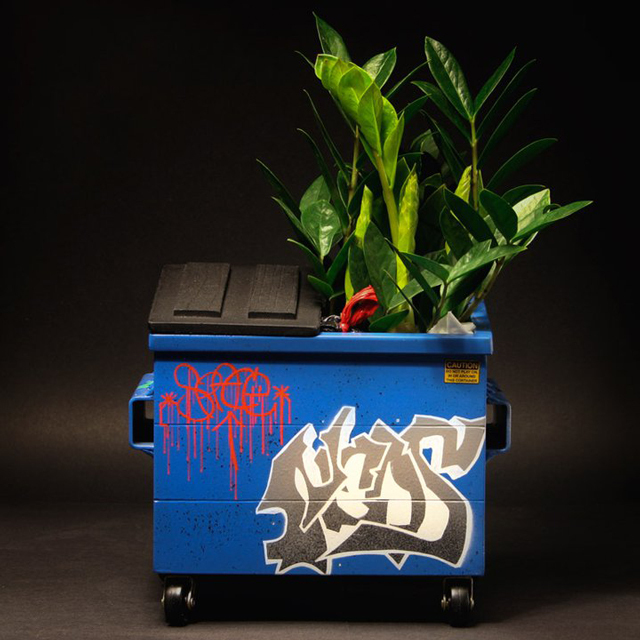 Plant-wise, the trick is to plant them with things that are hardy enough to thrive in neglect. So in these photos you can see an Echeveria and an Aeonium – two plants that do quite well unattended in our climate. The acrylic thread should pick up water from rain and fog, but there’s so little soil in them, I’m not worried about rot. And these particular plants are happy to grow in shallow containers, and fine to go for long periods of drought. 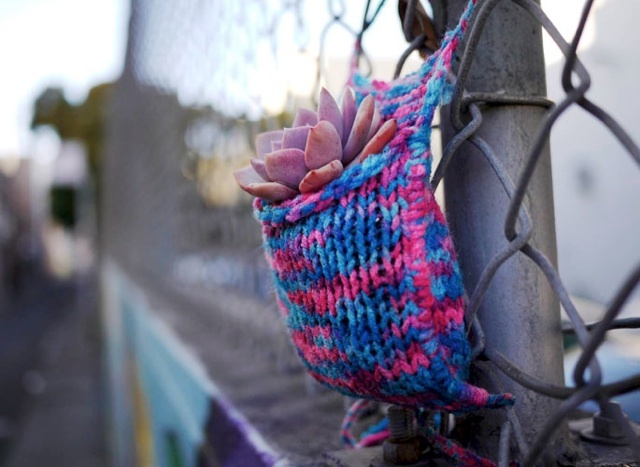 Detailed instructions on how to knit these functional plant pockets for your own plantbombing adventures are available.